We offer you the opportunity to spend a cousy time in the nature with horses, where you can forget your everyday worries and you feel like one part of nature. 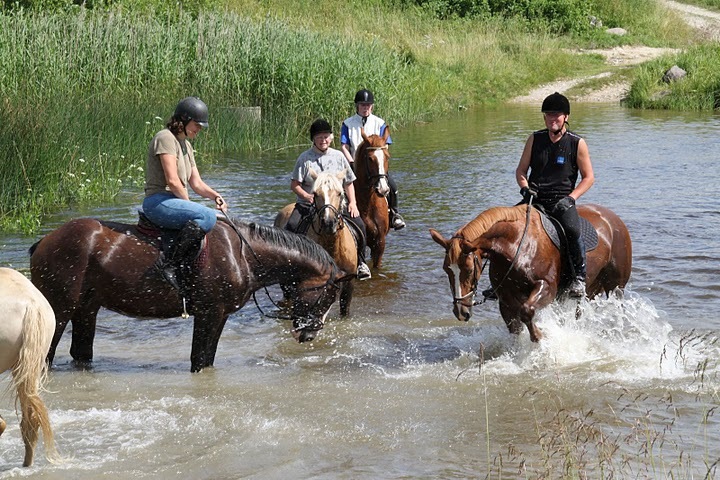 Taking part in riding tours is an excellent opportunity to experiance and discover Estonia. In the fields, medows and forests you can meet birds and animals which you don't see every day. Old farmhouses and heritages need to be discovered! For your safer journey every rider needs to wear a helmet which you get free from us to use. For those who do the riding for the first time we recommend taking 1-2 ridingcourses where you get the first instructions. On every tour there are at least 2 tour guides. People who don't want to ride in a big company can take part in tours in horse carriege where it is nice to sit and relax. 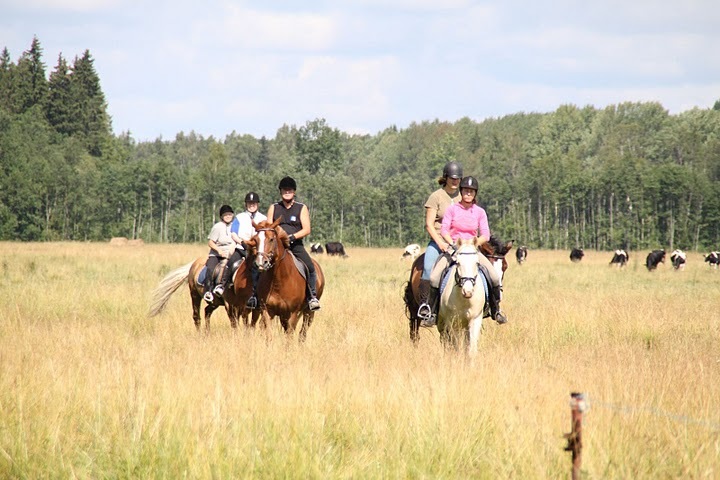 There are 3 different riding tours available at Juurimaa Stables. We are riding across the fields, through the forests and medows. Go on sightseeing ( Vinguta limestone field, limekiln, old farmhouse place and Loodna tavern). Before the riding tour each paticipiant gets tasks from the tourguide to make the tours more interesting and memorable. We ride along the gravel roads and through the forests and three villages enjoying the sights on the way. The aim of the tour is to make the riders see the nature and villages and give them overview how villages and nature have changed during the centuries. In the forest we observe trees and pushes, birds and animals. On the tour there is 1 shorter break and 1 longer. By good weather it is possible to go swimming and order a picnic. We ride to the nearby Kasari river. The river starts from Hageri and flows in to the Matsalu bay. Kasari river has influenced the local enviorment and nature. On the banks of the river people have built summer houses and built pastures. It is possible to ride through the river and have a picnic at the river and go swimming.